For many SMBs, finding the time to proactively manage employee performance is difficult. The emphasis is more often on increasing revenues and achieving stability, especially in the early days. However, as businesses grow, the need for improving staff engagement, productivity and loyalty becomes increasingly important. 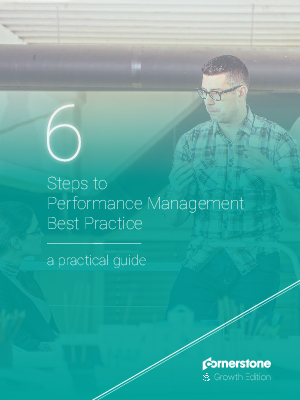 Download 6 Steps to Performance Management Best Practice now and learn top best practices involved in implementing an effective Performance Management strategy.